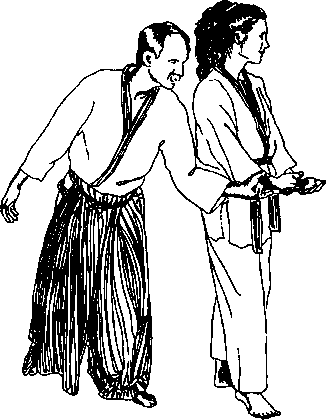 Bend forward (F), throwing the hands through the legs as though whooshing a football to someone behind you. Continue the arm swing through the legs, completely, as far as they will go but do not compress the chest by bringing the arms close together. On the backward motion (B), bend back, arms following. 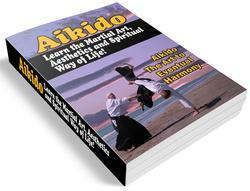 Arms extend straight overhead and continue backward like an H, not coming together in a A. Eyes are straight ahead relative to head. 1. This exercise is similar to Exercise 1 (Torso Turning) but elbows are bent, at shoulder height, and in a line with the plane of the back. Head and back turn together to about 130 degrees. The rear arm moves on second count only. 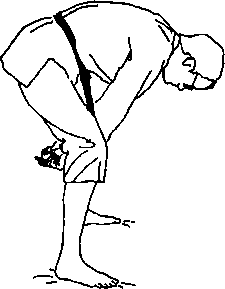 A lateral neck exercise done by tilting the head from side to side. 1. With hands on hips, bend neck to shoulder. Do not raise the shoulder to meet head. Think of stretching and loosening the stretching side rather than compressing the other side. Head need not return to center; just stretch-release. Eyes and head remain forward and do not twist off axis.